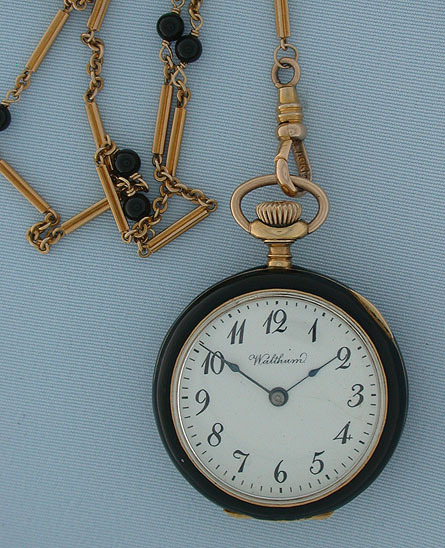 Fine Waltham 14K gold and enamel antique ladies pendant watch with gold and jet bead chain circa 1907. 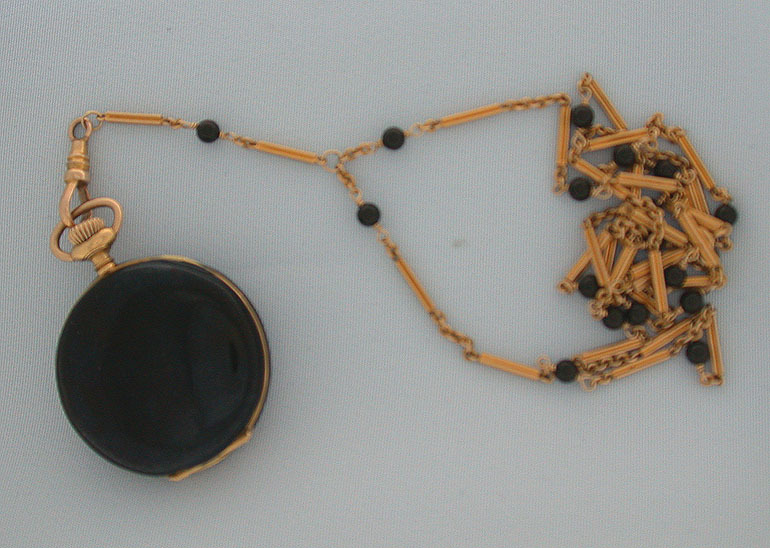 The black enamel case with insignificant edge flakes. White enamel dial with blued steel hands. 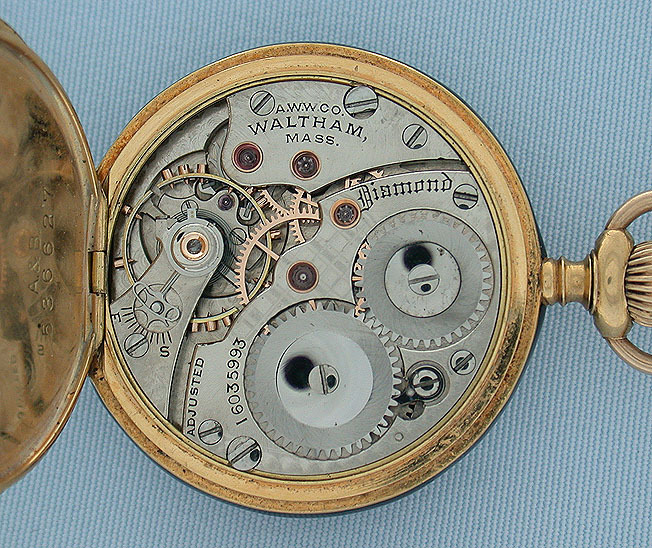 Fine nickel 17 jewel movement with gold train, raised gold jewel settings, and diamond cap jewel. The 27 inch chain is 14K gold and the swivel is 10K gold.